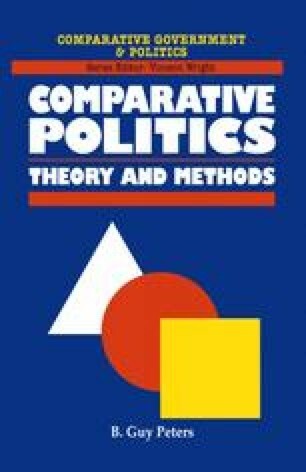 Comparative politics often appears afflicted with a variety of analytic greed, in which ‘more is better’. This greed is driven in part by the dominance of statistical analysis in contemporary political science, with the consequent need to have relatively large ‘samples’ of countries in order to be able to meet the assumptions and requirements of statistical analyses. In some ways, however, this concentration on the demands of particular statistical techniques reverses the appropriate logic of research design. The statistical techniques, or other methodological tools, that researchers select for use should be employed in the service of the analytic and theoretical questions we are pursuing, not vice versa. Certainly, there are some research questions that can only be addressed with large and almost comprehensive data-sets, but they are also some questions that are best addressed with small and focused selections of cases, or even a single case. Indeed, the use of larger ‘samples’ of cases may make some styles of research less useful rather than more.